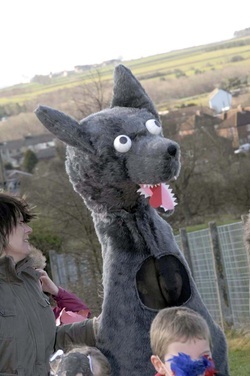 The carnival themes at Peases west Primary School were the children's ideas. 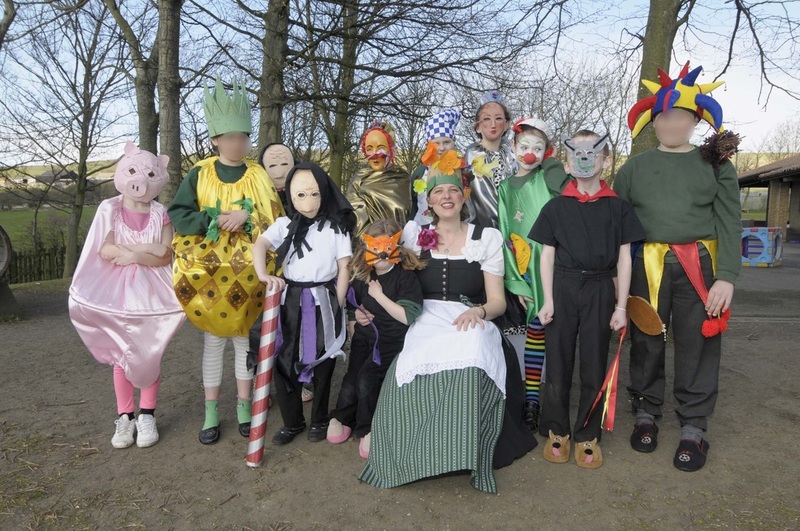 I made about 50 costumes including Pineapples, Pigs, Cooks, Jesters, King, Queen, Witches, Clowns & a Wolf. 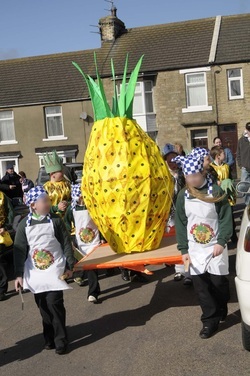 The children were involved with making the masks, headdresses, accessories, printing the fabric & a giant pineapple, which was carried through the village along with the parade. 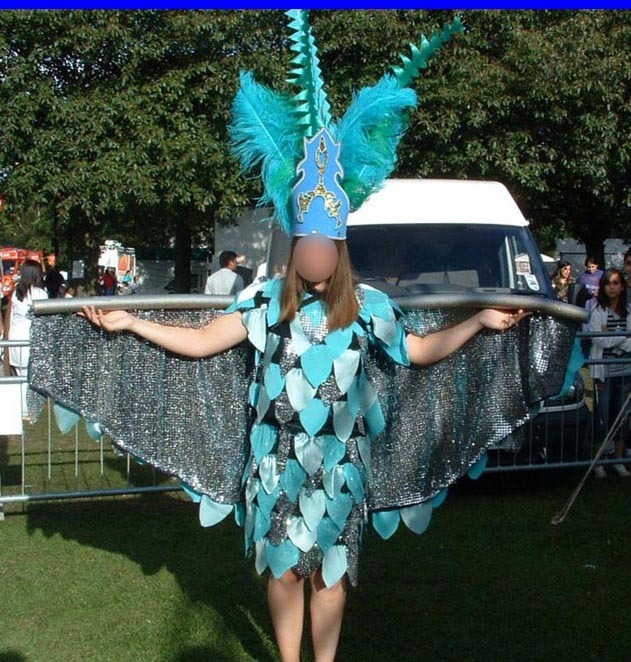 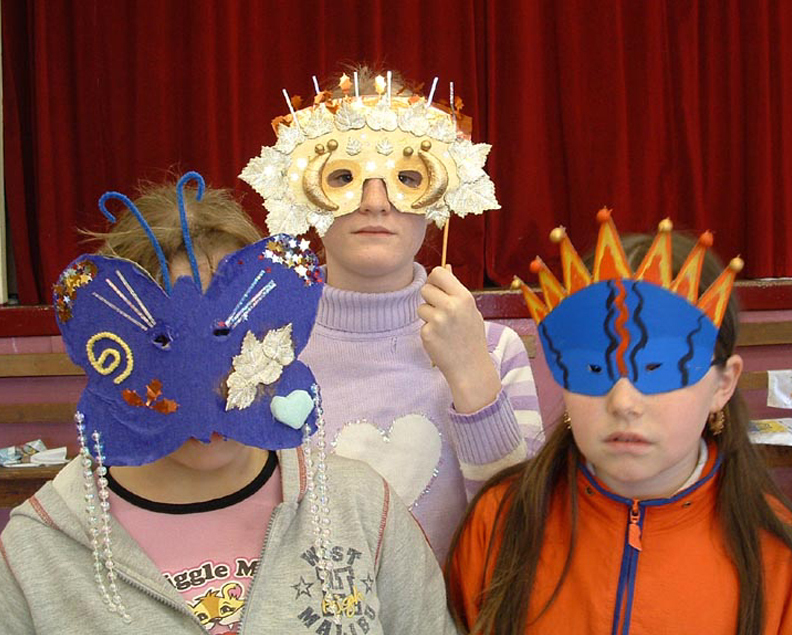 Along with a group of teenage girls we created costumes & headdresses. 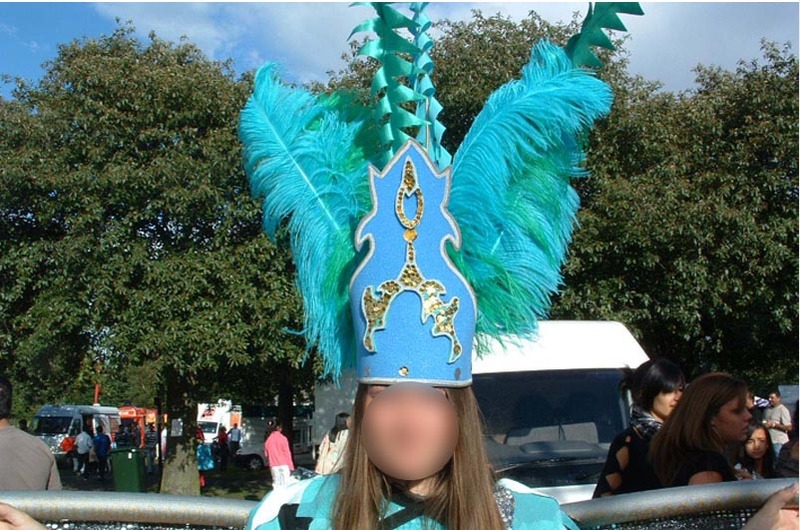 The event was showcased at 'The Mela' a multi cultural event in Newcastle.